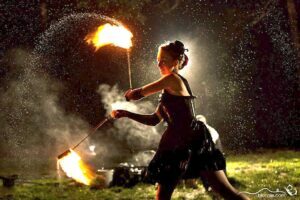 Cirque de Light’s ambient performances provide a magical atmosphere and set tone with improvisational fire spinning to any music. This is a great way to greet your guests as they arrive at an event or to entertain your guests and keep the excitement going with recurrent sets throughout the night. Not only are Cirque de Light’s high-energy shows jam-packed full of exciting fire acts, but they are made to fit any theme. To help give you an idea of what is possible, their most in-demand theme shows are described below along with video highlights. Keep in mind, that they can handcraft a show for anything you can dream up. 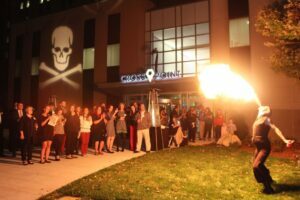 Having a pirate-themed party? 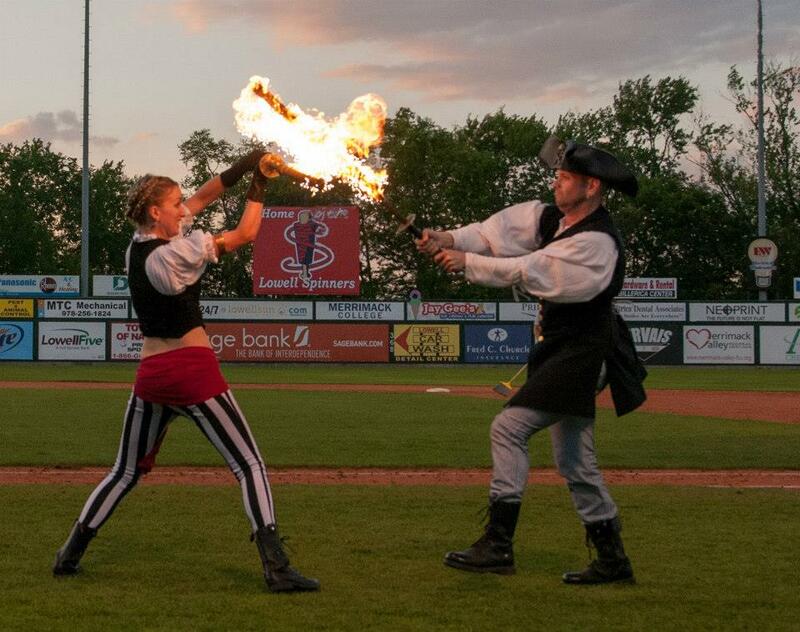 What better way to amaze and entertain your guests than fire-sword fighting between two swashbuckling pyro pirates?! Fun for all ages, their luau show brings a taste of Polynesia right to your backyard. This is one of their most popular shows, featuring traditional fire props, poi and staff, paired with authentic Polynesian music. For even more luau entertainment, inquire about their partnership with the lovely hula dancers of Polynesian Fusion. This is a thrilling, chilling spectacle of spookiness great for Halloween-themed events. This show highlights the romantic nature of partner fire dancing. What better way to celebrate a wedding or anniversary than the trust and strong partnering required to spin fire around and in synchronicity with another person?! To see Cirque de Light featured in a recent wedding video, click here. 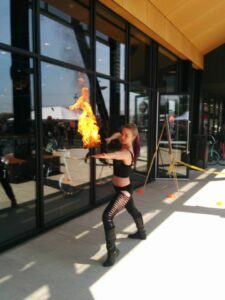 Let us heat things up at your event with one of our edgy shows. Perfect for club nights, motorcycle events, and much more. Cirque de Light shows can range anywhere from a 3 to 5-minute choreographed solo act to an hour-long fire show featuring 5 or more performers. Their group shows include numerous multi-person acts for increased variety and even more fire all on stage at once! For the largest show (25 fire performers!) they have been a part of and helped to choreograph put on by the Boston Circus Guild, click here.